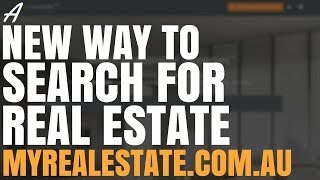 There is a new, faster, better way to search for real estate online. A better experience with less ads. 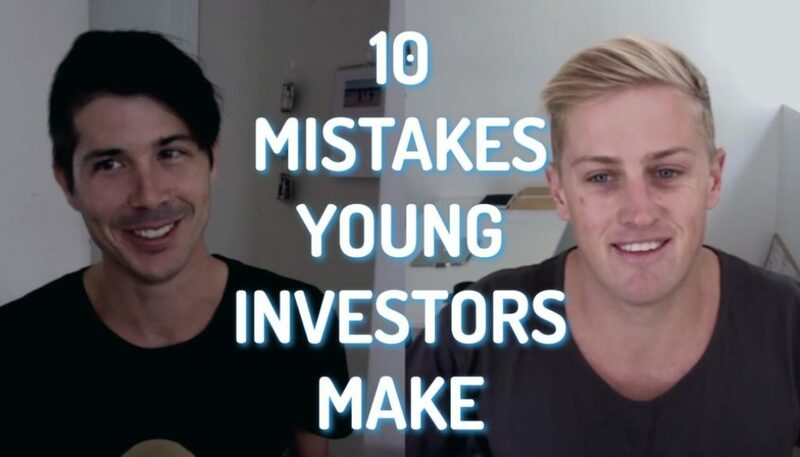 Hey, guys, Ryan here from onproperty.com.au, helping you find positive cash flow property. Today, I’ve got an awesome tool for you guys and an interview with the creator of that tool. 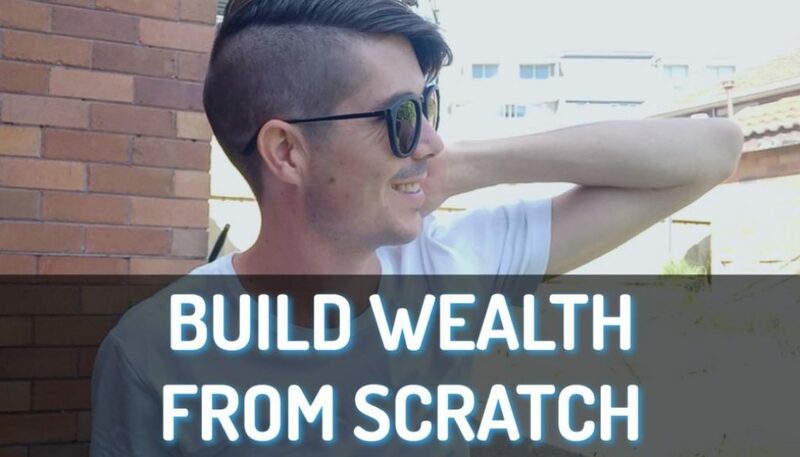 The tool is myrealestate.com.au and the creator who’s with me today is Nino Svonjia. Ryan: Hey, Nino, how’s it going? Nino: Hi, Ryan. Good, yourself? Ryan: Very good. Now, you guys know when you go on to realestate.com.au or you go on to domain.com.au and you search for a property, the search listings aren’t always the best. They’re not organized the best. There’s often those sponsored listings that get in the way that aren’t in the same suburb or the same price range that you’re searching for. Searching for properties online and finding a decent property can be extremely difficult and Nino is trying solve this problem with his tool, which I just discovered the other day, called myrealestate.com.au, which you guys can be able to check out. So, Nino, talk us through what is myrealesate.com.au and what are you guys trying to achieve over there? Nino: Thanks, Ryan, First of all, thanks for having me on your show. It’s great to be here. MyRealEstate is a completely new kind of search engine for all listed properties in Australia. So, it’s very unique, it’s very different than anything that’s out there. What we’re trying to do is gather all of the listings that are advertised out there and put them together in one place. More like a traditional search engine rather than a property advertising portal. So, we want it to be fair. We want it to be fast and easy to use. Nino: You mentioned some of those points there around fairness. We see a lot of that as we gather some of that data. Sometimes, prices can be put in a price range where they don’t belong to, just so they’re trying to attract more users to click on them, and this is really not fair for the buyers. Ryan: Often times, I’ll do a search and stuff will come up that’s listed as “auction” or it’s listed as “no price” and it’s not actually really in that price range. I can tell just by looking at the property. This property shouldn’t really be shown to me in the price range I’m looking for. Nino: That’s right. The reason for this is because some of these websites have the ability to specify a hidden price or a hidden price range so that they can still appear in search results. This is not fair because this is a little bit deceptive behavior and often, what advertisers do is put lower price ranges because they’re trying to attract more buyers. 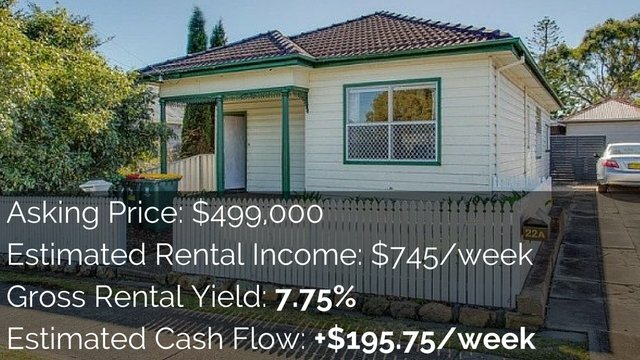 With myrealestate.com.au, we just have a single price. You either have it said or you don’t. And, we try and be very transparent about showing that to the users. In fact, if the price is not said, we try and penalize that and push it down because we think that if an advertiser hasn’t put a price, usually, they try to involve in some tricky behavior. Otherwise, it’s either too expensive, the vendor wants too much money or they’re trying to fish the market, or something like that. Ryan: Okay. So, let’s talk through the search software because I’ve had a little play with it, but not a massive play with it. I like some of the tools because you can search using keywords. So, I can search for things like “yield” and properties where the real estate agent has “rented”, the yield will come up. Or, I can search words like “rented for” and then properties where the real estate agent has said “rented for” will come up. So, it can help us find out the yields of properties or find out the yields of areas, which is really helpful for people searching for positive cash flow. Is that how you designed it – to be like a search engine based on what the real estate agents say or is there some other way that we should be using it? Nino: No. That’s exactly right. The idea is to make it more closer to like a traditional search engine, like Google. Based on research that we’ve done, a majority of users prefer using a keyword search box. They like the freedom and sometimes it’s just very fast to just type in what you want. What I see with these other portals that are out there is that they’re, if anything, even hiding these keyword input box and just making it quite complicated to go through all of these filters and click on things and find out where they are and they force you to go through this workflow by putting in a suburb first and so forth. So, we’re changing that by making a very, very smart, we’re bringing in cutting edge technology that can recognize the keywords that you are putting in and it goes even beyond Google because if you put in numbers and if you put in prices and if you put in distances, it will understand that and will automatically populate the criteria for you. So it saves you a lot of time. Ryan: Yeah. I really like this. Because, say I go to realestate.com.au and I’ve got to choose the suburb or I’ve got to put in multiple suburbs if I want to look at an area. I’ve got to put in the price range and I’ve also got to specify, am I look for a house? Am I looking for a townhouse? It is quite cumbersome to use. I’m looking at your website now. Some examples of searches you can do is like; “a house in Werribee VIC around the 300K price range”. So it’s actually going to understand this and do a radius or something and give us all properties around that area around the 300K? Nino: That’s correct. We’ve tried to put in some default search type of queries that would be useful. like doing a radius around the location by putting in just the price, putting in just the attributes, like if you type in a “3-bedroom house”, maybe you don’t know where you can afford one. So it can be very, very powerful if you’re just browsing the whole market. For example, in Victoria or New South Wales and so forth. I encourage your users and listeners to just jump on and try it out. You know, type in “500K” and see where you can buy a property for 500K. Ryan: Alright. I’m going to type this in now. 500K. Okay, so it’s showing me all properties that are exactly $500,000. Ryan: Okay, so the filter’s done. 425 to 575, so 75K either side. Nino: Right. Yes. It’s doing a bit of a percentage on either side just to give you a bit of a bigger range because some people might put “499”. Some people might put “520”, but you probably want to consider all of those properties. Ryan: Yup. Okay. This is really cool. I like this. Do you think this will be, like, I’m just wondering how users are going to use this. Is it pulling data from realestate.com.au and domain.com.au? Should we skip using them altogether and try myrealestate.com.au? Or is it meant to be used in supplement for more specific keyword searches, like I was talking about with the yield? Nino: So, if you ask me, definitely, users should use this instead. Most of the people we researched, they visit more than one property website when they’re looking for properties and this is a waste of time. You have to learn every website separately, they’re both different. So that’s exactly what we’re trying to do. We gather all these listings from all of the websites. We haven’t added them all yet, we’re still in the process of adding them. We’re still in beta, but the idea is to give you a whole, all inclusive market view. We point you back to the real estate site, so you’re not going to miss out on anything. When you click on the listing and you want to view all the extended information, you do go back to RealEstate or Domain. It’s basically and index. All in one place. A fair, easy and fast, much faster. I encourage your users also to have a look at the speed of it. We’ve done a lot of work to try and make it really fast to find things. Ryan: Yeah. I just did a search. I searched “units in Cronulla for 700K”, which is a suburb in Southeast Sydney. Yeah, it was lightning fast and we got a lot of properties come up here. I can see the first one is listed or it says “found on Domain” and if I go ahead and click on that, then it brings up the Domain listing. Then I can see all the details and the map and all the different pictures and everything like that. So, really, I guess I would say, you guys are the Google of real estate listings. Is that correct? Nino: I think that would be a fair way of putting it, yes. Ryan: Yeah. Okay. So let’s talk about some use cases and some cool ways that people can use your service. Obviously, we’ve talked about it’s a more natural search engine. So, you can type in things as you think of them. You don’t have to go through the filters. You can just type in, like I did, “units in Cronulla for 500K”. Are there any other use cases apart from what we’ve already mentioned? That and being able to find specific keywords, like “yield” that we can recommend people try that are going to be useful? Nino: Yeah. So, I particularly really, really like the voice search feature. This is something amazing and we’re very proud of that. This is Australian first, probably. And it’s getting up there with cutting edge technology around the world. Our phones and our technology is rapidly improving, you know. Yourself, everybody these days has a phone or a tablet and we call them smart phones. Well, it’s about time that our websites and our applications also became smart. This is what we’re trying to do. If users have a phone or a tablet with the voice capable, so they can do the voice dictation. Ryan: Yeah. So, I’ve got an iPhone 6, so I’ve got Siri. Nino: Yup. So it’s not on Siri. You basically just go to the website, myrealestate.com.au and if you open up the keyboard on the search, you should have a little microphone button there on the keyboard. Ryan: I’m just going to do it. I’m going to do this now. Nino: Try it out loud, on 3G. Ryan: No. I’ve got WIFI. So, hopefully, it’ll be alright. So I just go into the search bar. Nino: You click on the search bar as if you would type something, but instead of typing, you click on the microphone on the keyboard. Ryan: Yeah. So I click on the Siri microphone. Nino: Yes. And just speak. Describe the house the you want to find. Ryan: Houses in the Gold Coast around 400K. Okay. Done. Yup. Sweet! It works. Nino: Yeah. That’s it. We’re using that awesome feature that Apple and the phones already provide, which is voice dictation and we automatically put in that query into that natural language interface that we’ve provided and hopefully, it means that you don’t have to then click on the filters. You don’t have to go and fill them out. It hopefully fills in all the filters for you. Ryan: What about people trying to find rental properties? Does this work for that as well? Or is it just for sale? Nino: At the moment, we’re just getting started. So, we’ve only got the buying listings. You know, for sale properties. We’re definitely looking to add rent and commercial and so forth. Again, we want to be most comprehensive fairest, fastest and easiest way for people to find all kinds of property and the one-stop-shop for them to do that. Ryan: Yeah. Well, you want to be Google of real estate. Back in the day, Google started out small. They weren’t that good and then, over time, they improved. And so, I bet you guys will do the same and eventually, you’ll have everything. We’ll probably even be able to search all over the world. What inspired you or your team to actually do this undertaking and change the technology behind real estate search? What inspires someone to say, “You know what, I’m just going to go after real estate search. I’m going to change the experience and try and make it better for users”? Nino: Well, Ryan, I’m very passionate about innovation and improvement. When I see something that can be improved, it’s just in my nature, I want to improve it. That’s kind of my attitude towards things. And I’ve work with many large Australian companies and time and time again, I see this that innovation and user experience improvement gets sidelined at the expense of making profit and entrenchment and doing things, sometimes, even the wrong way just so that we can protect our profits. I don’t like that. Ryan: Well, I think a good example is Google versus Yahoo. Yahoo used to be the search engine, but then they did everything for profits, put heaps of advertising on their homepage, put all clickbait stuff on there. Whereas, Google just kept it streamlined and simple, easy for the users. And everyone eventually left and went to Google. Nino: That’s right. I mean, they had the search algorithm, so let’s not forget that as well. But you’re right. They were also, you know, their motto was “don’t be evil”. They do have some advertising at the moment, but even from the outset, Google has made it very fair, very subtle, on the side and they’re very clearly marked, very fairly marked that it’s sponsored content. Nino: So we’re tending towards this kind of a model. We prefer it. Ryan: The thing I love about Google with the sponsored content, it’s usually related to what you’re searching. Whereas, I found with the real estate websites, the sponsored content may or may not be related to what I’m searching. Nino: That’s exactly right. This is sometimes maybe because of the sophistication of technology might not yet be there. I mean, Google is the number one innovation company in the world. From our point of view, making something very fast. We wanted to build something that we would be happy to use ourselves. I love solving difficult problems. I’ve spent many years on this, building the search technology. It’s state of the art. We really hope that we can finally get it out there to users and get them to get the value out of it. I’ll be the happiest when I start hearing those feedback stories, and we already are, of how good and easy it is for them to use. I was showing this to a CEO of a company and I was using my 3G iPhone because I didn’t have internet WIFI, so it was just tethered. And I was showing him the demo, and he was like, “You’re running the local app on your computer, aren’t you?” I go, “No, that’s the live site through my 3G.” So, usually, people are quite impressed how fast it searches. Ryan: So why is it so fast? And why are the other sites so slow when you’re searching and navigating through the pages? Nino: There are several reasons. To do with technology, often times, because they try to serve you all this ads and other things to make a profit. It’s at the expense of the performance for the user. And the other side of that is we’re using the cutting edge technology that’s sort of the next 5, 10 years. It’s enterprise-grade technology. It’s used by large companies and we have personally spent a lot of time optimizing it for this use case. Ryan: Yup. It sounds like an expensive operation to run. What’s your model, if don’t mind me asking? How are you guys planning to sticking around and making a profit so you can continue to provide this? Nino: At the moment, we’re a startup, so we’ve got funding, but we’re running under funding and we’ve got a parent company. I’m the founder of Lumanetix, which is the company that provides the search engine. We provide that to other businesses, so we have revenue streams that are from servicing corporate clients. And we work with some large companies in Australia. So we’re going to be around for a while. On the MyRealEstate site, we’re not so fussed about a commercial model right now. Our first and foremost priority is to make it the fastest, fairest and easiest search engine, most comprehensive to use for real estate. The natural thing that we probably will do in the future is something around offering additional services on top of that. Typically, when you are looking for a home, you’re also looking for other things. If we can point people to the right place and perhaps make some affiliate fees, maybe that’s what we’ll do, but who knows? We’ll see. Ryan: Yeah. I think there’s a lot of potential in this site. I’m a paying member of realestateinstar.com.au, which is a tool. I think I signed up for 2 years. I pay $99 a month and the main feature that I love about that search tool is that keyword search feature. Truthfully, you guys are coming very close to what they offer and yours is a free service. 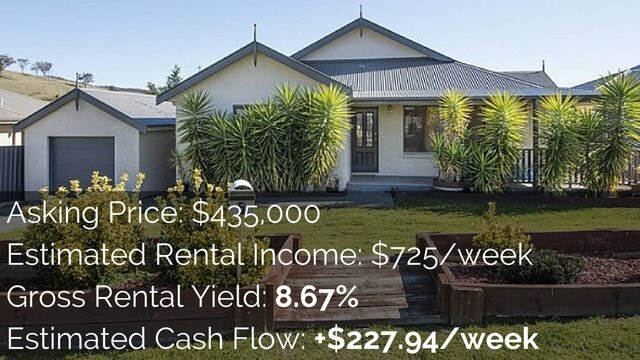 I think for anyone out there who’s looking for positive cash flow property, this is a service definitely to try, to punch in things like “yield”, “rented for”, “positive cash flow” and you can find some properties there. But I think anyone who’s searching for a house. I know this. When me and my wife were searching for a rental or when I’m looking for houses, sometimes it can take you hours to go through everything and to understand what houses are on offer and everything like that and the way that this is displayed. So, realestate.com.au will display like 10 or 20 results per page and it’s all in one form. You scroll down one after the other after the other. You got to get through the adds and stuff. I really like how this one at the moment I’ve got on the screen. It does 4 by 4, so you’ve got just such a quick overview of the pictures of the houses or the price of the houses. It’s really easy. Nino: Yeah. What we see happening and emerging and you mentioned it, I actually wanted to make it even more full screen. So, I think we’re actually going to make it even wider. So, as much as you can fit on screen, we’ll put in there because we don’t want to waste the space. Ryan: That’s the thing. I’ve got a 27-inch iMac and there is a lot of wasted space. Nino: It’ll be all full, don’t worry. We just can’t cover everything, we’re not a big team. But what we see emerging and you mentioned around the agents and other things is a free market. We see the agencies and people like you, the content providers, as the stars of the show. You’re providing the content. You have the listings. And we want to showcase that. So, you will notice that we automatically grab all listings from agent sites and through portals, but we will point people back to the agent’s site. We want to create a free market where it’s the same user experience, the same powerful search that is running across all of this websites. Looking for things is irrelevant, it’s the content that’s important. We want to enable that kind of experience for users and for those looking for property. Ryan: So that means, eventually, there would be the potential for agents to list on their own website and you would act like Google and send people to their own site, rather than forcing them to go through realestate.com.au or domain.com.au. So, they could then focus their own website on getting in contact with the searches and presenting it the way they want. They won’t be forced into the box that RealEstate or Domain put them in. Nino: That’s exactly right. See, we have no issue with agents. We want to link to their website because we’re very big believers of brands. So, we know there are customers who are looking for property, the like sometimes to go on the real estate’s own websites because that’s where they get a sense of the brand and a sense of – not culture – what’s the right word? The essence of that agent and that’s all part of it. You’re absolutely right. We’re going to look at embedding that same fast, easy to use search across agent websites so that people can browse through their properties using the same experience. Ryan: Yup. One thing just using it now that I would love to do is just be able to scroll down and then it just continually loads. Ryan: Yeah. Rather than going to next page. Nino: I’ll write that down. There are mixed views on that as a user experience feature, but I think it’s not a bad idea. I’ll definitely write that down. Ryan: My thoughts on that whenever I’m using Facebook and Instagram and stuff now, we’re all doing that, anyway. Ryan: We’re all scrolling. I literally tried to do it. Even though it says next down the bottom, I tried to do it. Nino: I like it. I like it, Ryan. I think I’m going to prioritize that one. Ryan: Especially, I guess, for On Property, more than 50% of people come to my site through their mobile devices rather than through the computer. So, more than half of my audience. 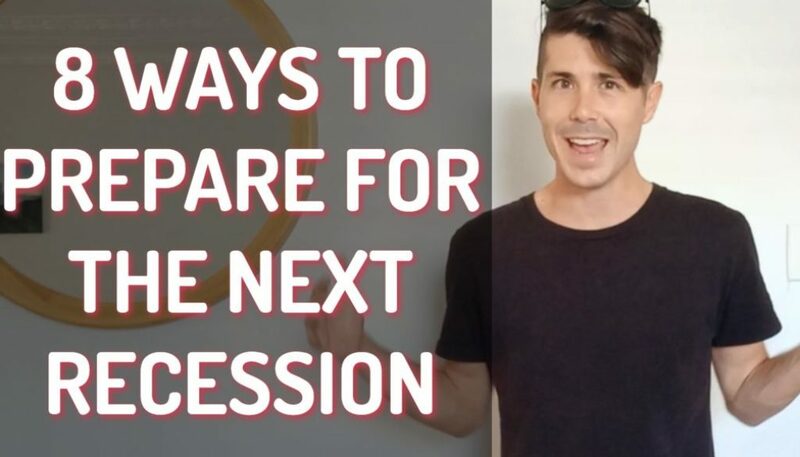 It might be different for you because real estate searching is a more heavy endeavour for a lot of people, but it might be something to consider. What about an app? Do you guys have an app that people can go ahead and download and use? Nino: We don’t have an app at the moment. We try to center our experience in the browser for the minute so that people just open up their browser. Look, to be honest with you, we might consider that in the future, but we’ll only do so if we can add additional value through the app. I, myself personally, I hate these apps. You know, thousands of apps and all I’m thinking is they’re just trying to get to take more information and to have an app sitting on the front. So, unless we can provide an additional value to what it is in the browser, I don’t see a reason to force users to download an addition app. It leads me to believe it goes towards entrenchment, you know. I’m not a fan of too many apps on the phone. Maybe that’s just me. Ryan: I don’t know. It might just be you. But I think when you talk about Google, like if you think you’re the Google of real estate, you definitely tend to just go into your browser and put “Google” into your browser. Well, your browser now kind of acts as Google. If you just type in to the URL section. So, maybe you’re right. Nino: I think it may be required in the future, Ryan, because even Google, I know that they’re doing their own apps. Sometimes it’s a limitation with technology. So, for example, we are pushing the boundary at the moment of how we can capture the voice input on the phone. What we’d like to be able to do is make that even easier. At the moment, it requires a few additional clicks on the search button that I would like to remove. We can’t remove that because there’s a restriction. So if we made our app, we could make it more streamlined. Like you wouldn’t have to press any button, you just speak and it knows everything. So, from that point of view, definitely an app would make a lot of sense. Ryan: Yeah. I definitely know when my wife is searching, she always uses that app rather than the website for realestate.com.au or for Domain. I don’t know why, but she always does. But I definitely think website. You guys are still in beta. You’ve just launched. So, definitely websites allow you to iterate faster rather than app updates and things like that. I think that basically covers it for users. This is brand-spanking new, guys. You should definitely go and check it out. 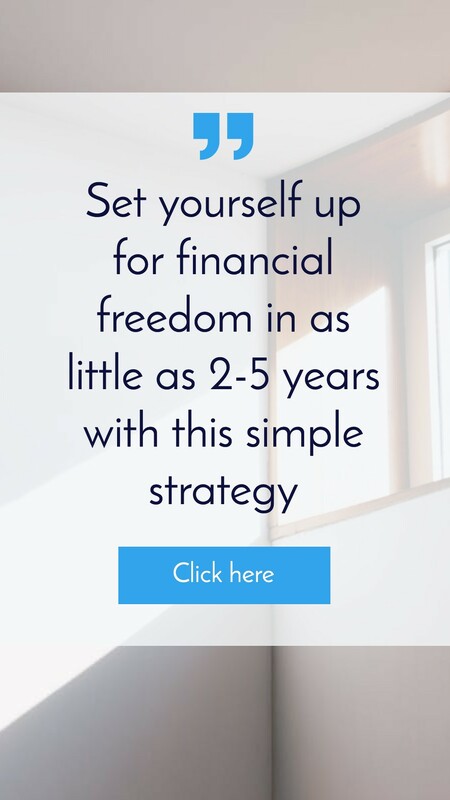 Go to myrealestate.com.au. I’m definitely going to be using it for my searches in the future. I’m going to get my missus on to it because for some reason, even though we’re happy where we live, she just always looking around, seeing what’s going on. So, I’ll be getting here on to it as well. And there is some powerful search functionality in there to help you guys on your search for positive cash flow properties. Is there anything that you wished I had asked or wished we had talked about that people should know before we close? Nino: No, not really. I think you pretty much covered it. I’d really like to get your wife on the voice search, get her to try that out and I really want to get your feedback. That’ll be awesome. Ryan: Yeah. I’ll definitely get her on to it and I’ll shoot you an email and let you know how we go. Alright, guys, go ahead, go over to myrealestate.com.au. Thanks for watching and until next time, stay positive.